We saw a new range of Nokia smartphones from HMD Global at Mobile World Congress and now we have some details on the new Nokia 9. It looks like some specifications have been leaked on the new Nokia 9, the handset will apparently come with a 5.5 inch display with a QHD resolution of 2560 x 1440 pixels. Other rumored specifications on this new Nokia smartphone include a Qualcomm Snapdragon 835 processor and 6GB of RAM, the handset will come with a choice of either 64GB or 128GB of storage and will feature a microSD card slot. The Nokia 9 will feature high end cameras, on the front there will be a 12 megapixel camera for Selfies and on the back there will be dual 22 megapixel cameras with Carl Zeiss optics. The handset is also rumored to come with a 3800 mAh battery and Qualcomm Quick Charge 4. The device will feature an IP68 rating for dust and water resistance and it will come with Androi8d 7.1.2 Nougat. 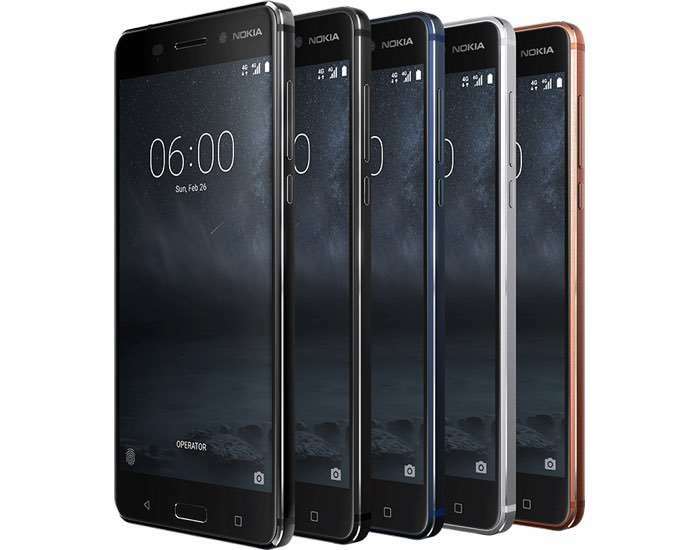 This sounds like a flagship device from Nokia and could end up being a popular handsets, the existing devices that have been released, including the Nokia 6 have been popular. As soon as we get some more details on this new Nokia 9 smartphone, including some pictures of the handset and some detai9ls on a launch date, we will let you guys know.